Welcome to the new Dailies section of UCM Services Oakland site. On this section, users will be able to read more about all Oakland carpet related issues including general discussion. This includes contemporary carpet cleaning news in Oakland, to methods, techniques and just general experiences relating to carpet cleaning. Every few days a new article will be posted targeting a different issue. Readers should stay posted for the latest updates and news. So if you have any questions about what UCM Services Oakland can offer you or your office environment; or perhaps you are interested in carpet cleaning on an industrial or commercial level, then check out the Dailies section. The Dailies section is also set to give our readership extra help on any of the services we provide. Perhaps you want to know what products we use to clean your awnings and canopies; or maybe you are interested in finding out just how long it takes to give your wood flooring a good polish. You might want to know the amount of time you need to book UCM Services Oakland; this will help you plan your cleaning in advance. Or perhaps you are interested in learning more about cleaning maintenance in between visits from the professionals at UCM Services Oakland. Whatever your carpet, furnishing, upholstery, cleaning concerns are, contact the daily updated Dailies section of the UCM Services Oakland website for more information. 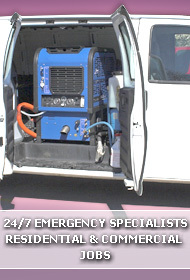 Steam Cleaning - Does Your Carpet really need it?